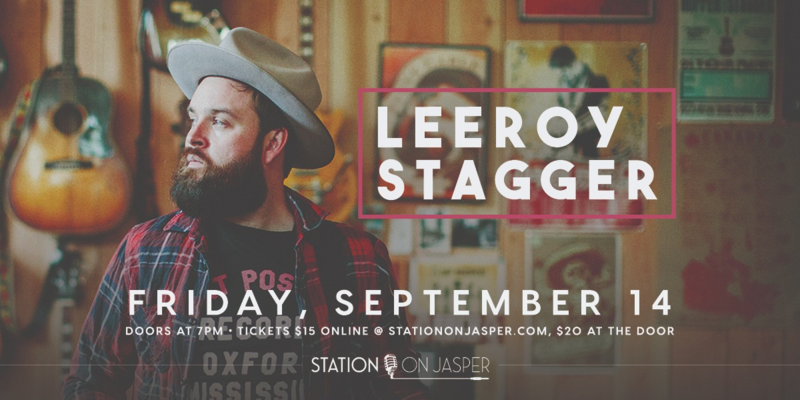 Station On Jasper presents Leeroy Stagger. Since first making his mark on the Canadian independent music scene at the turn of this century, Leeroy Stagger has toured the world, both on his own and with the likes of Steve Earle, Pixies, Modest Mouse and Evan Dando. Among his achievements are winning 102.7 The Peak’s highly competitive Performance Project in 2015, working with legendary U.S. industry mogul Danny Goldberg, and having his songs appear in such television shows as Grey’s Anatomy and Sons Of Anarchy. Although Stagger’s sound has most often been tagged Americana, in reality it’s always been much broader than that description might suggest. Learning to ignore the urge to try to fit into any genre has been another crucial change Stagger has made over the last couple of years, and it has paid off magnificently with Love Versus. Doors for the show open at 7:00pm, but come in early for some fantastic Happy Hour specials.